A convenient cash offer with your Cloud CMA. Go to your next listing presentation with more than a suggested list price. Give your clients the no stress option with a real offer from a network of iBuyers. Present an offer to your sellers up front, so they can think about what’s next. Sell their home without the stress of listing, showing, and waiting for months. Ease the burden of timing a move, with more control over closing dates. Create a Cloud CMA on the Subject property. If the home qualifies, a page will appear asking if you want to connect with iBuyers interested in making a cash offer. Select “Request Offer” to automatically send the iBuyer relevant details about the property. The iBuyer will contact you (the agent) directly to ask a few questions and complete the offer. The iBuyer will never contact the Seller directly. Present the offer along with your CMA. The seller will see a full range of their homes value and make a decision. If they accept the offer, as the agent, you may represent the iBuyer on the buy side, provided your state allows dual agency. An iBuyer is a company/investor that will make you an offer on a home within minutes (or days), sight unseen, based on a proprietary valuation model and input from a real estate professional. When selling to an iBuyer, the home buyer is a company or an investor. iBuyer Connect is a feature of the new Cloud CMA that connects agents with iBuyers. The offer is provided at no extra cost or obligation to the agent or homeowner. When will iBuyer Connect be available? iBuyer Connect began testing in mid-July 2018 in Southern California. Cloud CMA subscribers will be notified when it is available in additional markets. Connecting with iBuyers in Cloud CMA is simple. After you’ve created a Cloud CMA, iBuyer Connect will let you know if the subject property pre-qualifies for an iBuyer offer. If you want to proceed, you’ll simply answer a few questions about the property’s details. 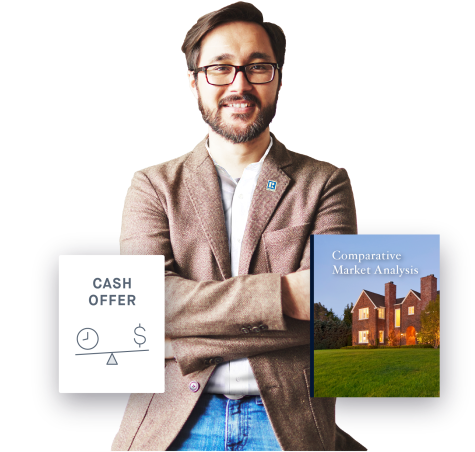 Once the information is analyzed by our iBuyer partner(s), cash offers are made on properties that meet their criteria keeping the real estate professional involved in every step of the process. This is entirely opt-in by the user - no data is ever sent to an investor unless the user explicitly clicks the button to share information with the investor. No, iBuyer Connect is a free feature for Cloud CMA subscribers. How are agents compensated when using an iBuyer? Compensation varies by iBuyer and market. The iBuyer will review terms with you when you request the offer. Do iBuyers contact the Seller directly? No. iBuyers are required to work directly with Agents during the iBuyer Connect process. Will Cloud CMA be employing agents as part of this process? No. Cloud CMA and iBuyer Connect will not employ any Agents. Cloud CMA and iBuyer Connect are not buying homes. The iBuyer Connect function of Cloud CMA is designed to connect Agents and their Sellers with iBuyers. Why is Cloud CMA working with investors? Cloud CMA has always been strongly supportive of professional Realtors. We designed iBuyer Connect to allow our Agent customers to use the power of Cloud CMA to participate in the growing iBuying market. iBuyer Connect allows our Cloud CMA subscribers to provide a higher level of value to their customers by combining their Real Estate knowledge and the power of Cloud CMA to work with iBuyers efficiently and safely to generate cash offers. These cash offers can be delivered by the Agent to the Seller concurrently with a CMA. Is Cloud CMA buying houses? No. All we do at W+R Studios is create tools to help Agents generate more business. Get access to motivated sellers with a home that matches your investment criteria through our iBuyer Connect API. With multiple options for integration, we can deliver opportunities into your existing workflow with ease.